Members of the expedition cruising community will be saddened to learn of the untimely death of 57-year-old Madang-based anthropologist, Dr Nancy Sullivan. This writer has known Nancy for the last decade, since we met aboard Oceanic Discoverer in PNG in 2005 and I am humbled that a person of her intellectual calibre and academic standing should consider this relatively unremarkable journalist a friend . We kept in touch and despite her busy schedule, never failed to help me out with quotes and expert references for my many articles on PNG and that country's bewildering cultures. 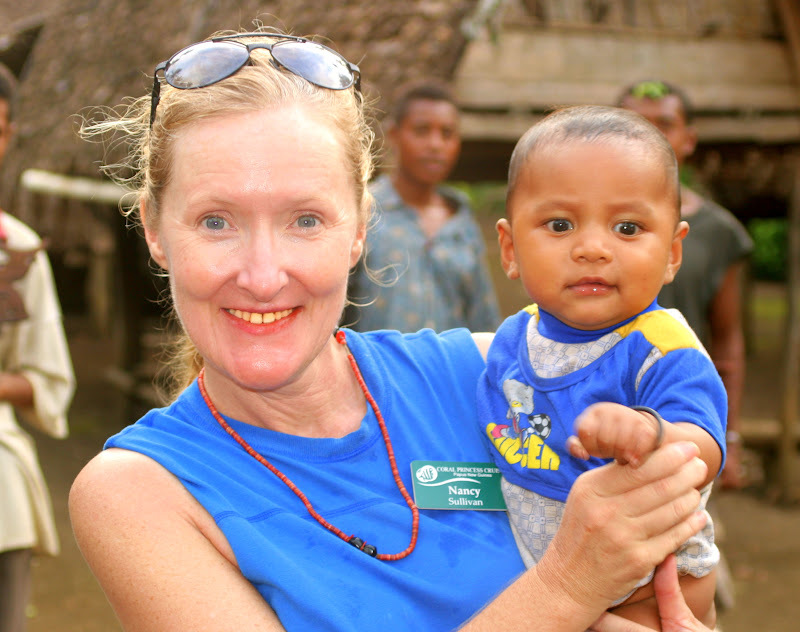 In a cruel irony, Nancy endured many hardships in PNG that would have broken most people. Serious illness, physical assaults and the often frustrating bureaucracy of life in remote PNG would have been too much for most fly-in-fly-out first world anthropological 'experts'. To have her life taken so abruptly in, what appears to be, an uncomplicated, single-vehicle road accident while on vacation in her home state of New York, just beggars belief. This same accident also seriously injured two of her much-loved adopted PNG children, one of whom remains in a critical condition. Despite her considerable and, in my view, unmatched knowledge of PNG cultures and customs, Nancy was totally approachable and patient, fielding my clumsy and plain dumb questions with aplomb and tact. And unlike so many erudite and high-achieving academics, Nancy had a disarming wit and a delightful sense of the ridiculous that enabled her to mix effortlessly with people at all levels of society. When she stepped ashore on the remote islands of PNG, she would be instantly engulfed by curious and giggling children, all playfully tugging at her golden blond hair and delighting in her generous cuddles. Following in the footsteps of acclaimed anthropologists like Annette Weiner, to say Nancy had a passion for all things PNG is a massive understatement. 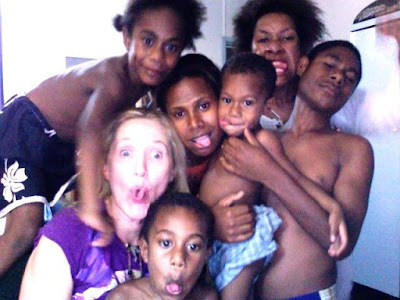 She earned her PhD from New York University and had lived and worked in PNG for the last 25 years. She fought doggedly for women's rights, freedom of speech and land rights for disadvantaged landowners being railroaded by greedy multinationals. She ruffled many feathers in government for pointing her finger at corruption and mismanagement. To say Nancy was dedicated and fearless in her actions for the people of PNG and preservation of culture still falls well short of acknowledging the full depth of her immeasurable contribution. Her important work preserving and documenting the prehistoric Karawari Caves in PNG's East Sepik will be an enduring legacy for the people of PNG for which they should be eternally grateful. Nancy will be sorely missed by the many people whose lives she touched and enriched.